Located in northwest England south of Manchester and Liverpool, Crewe is a railway town in the borough of Cheshire East. It has a population of over 70,000, and a good range of affordable housing perfect if you’re a first time buyer or looking for a bargain. 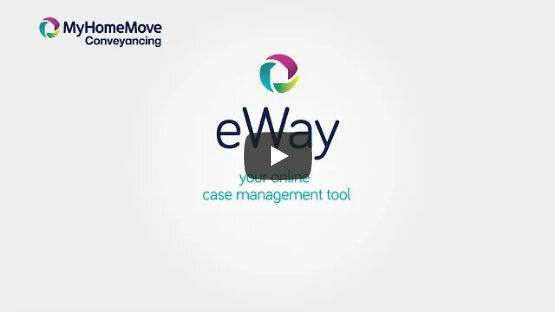 At My Home Move Conveyancing we’ve been developing our knowledge of the local market in Crewe since 2001. This means we can bring our clients in the area a specialist, fixed fee conveyancing service that’s like no other. If you’re considering buying or selling property in Crewe, you need to instruct property lawyers to complete the legal work on your behalf. My Home Move Conveyancing offers award winning customer service, intimate knowledge of the local market and innovative use of technology. Our conveyancing service is fixed fee, so you know how much you’re going to pay from the beginning. There are no extra charges or hidden fees to worry about when we act as your Crewe conveyancers. If you don’t end up moving for any reason, you won’t have to pay us anything. The average house price in Cheshire East is £209,358, while the overall average sale price in Crewe over the last year was significantly lower than this at £137,257. Semi-detached properties were involved in the most sales, going for an average of £131,393. Terraces sold for £94,660, while detached properties fetched £207,332. Despite featuring in the Domesday Book of 1086, the modern town of Crewe wasn’t officially planned out until the middle of the 19th century in response to a settlement that grew up around its railway junction station. The railway’s always been an important part of life in Crewe, while the town has a rich heritage in car manufacturing thanks to names such as Bentley and Rolls Royce. Crewe has a good location within Cheshire, and isn’t far from a number of major cities. It takes less than 40 minutes to get to Manchester and Liverpool on the train, while Chester can be reached in just 20 minutes. The M6 motorway passes to the east of Crewe, linking the town with Manchester to the north and Birmingham to the south, while Manchester Airport is less than 30 miles away, a journey which takes half an hour by train. There’s a good range of schools in the local area for families with children to take into account. Edleston Primary, Brierley Primary and Monks Coppenhall Primary are among the options for younger children, while St. Thomas More Catholic High and Sir William Stanier Community School are among the choices at secondary level. South Cheshire College provides further education facilities, while the Manchester Metropolitan University’s Cheshire Faculty is based in Crewe. All properties in Crewe will fall within one of the following council tax bands.